From self-pay billing to past-due collections, we have a solution to your nagging issues with ever increasing private pay accounts. Technology, talent, and persistence combine for excellent results. Contact us today for a no-obligation consultation. POS over the course of 50 years, has created print and digital communications that impact all facets of patient/provider interactions. Be it onboarding new patients, educating to a diagnosis, facilitating convenient and automated payment transactions or announcing changes, POS offers a broad array of options and stragegies to the healthcare industry. 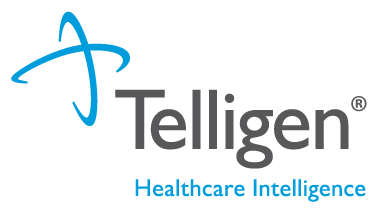 With more than 40 years’ experience impacting our clients’ outcomes and managing their costs, Telligen is a truly unique organization that brings together clinical, analytical and technical expertise to improve the quality and cost-effectiveness of healthcare — this is what we call healthcare intelligence. Minneapolis-based MMIC is the Midwest’s leading provider of medical liability insurance and risk management services for medical professionals. For 35 years, MMIC has helped health care systems, physician groups, hospitals and long-term care providers reduce risk and improve patient and resident safety. Today, MMIC supports health care leaders, physicians and all who provide care by enhancing their well-being and performance. This results in better quality patient care, a better patient experience and a lower cost of care. Visit MMICgroup.com. Want your practice to flourish? Bloom Marketing can help. We specialize in helping medical practices and health systems grow their brands, attract new patients and boost their profits. As a full-service, Iowa-based marketing firm, we can deliver as much (or as little) marketing support as you need. Our services include strategic marketing plans; website creation and management; social media; printed materials like brochures, posters and mailers; SEO; in-office marketing; e-newsletters; online review management; and a lot more. Give us a call at 515-635-5750 or send an email to info@bloomforbrands.com. We’d love to chat with you. Phreesia gives healthcare organizations a suite of applications to manage the patient intake process. Our innovative SaaS platform engages patients in their care and provides a modern, consistent experience, while enabling our clients to maximize profitability, optimize their staffing and enhance clinical care. 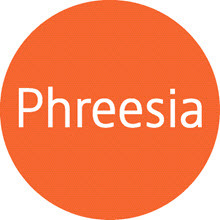 To find out how Phreesia can give your organization the capacity for more, visit phreesia.com. Honkamp Krueger & Co., P.C. (HK) is a Top 100 CPA and business consulting firm in the U.S. and the third fastest-growing Midwest-based firm (Accounting Today, 2017). As the largest Iowa-based CPA firm, we are one of the nation’s largest and most respected professional service firms for client organizations in all 50 states and thousands of U.S. cities. In addition to our accounting, business advisory, decision support and tax practice, our HK Family of Companies includes HK Financial Services (HKFS), our wealth management affiliate, and HKP, our workforce management affiliate. With 70 years of history and the combined knowledge and experience of our professionals, HK has accumulated a deep understanding of the health care industry with specialization in the needs of independent medical practices. HK offers industry-tailored consulting to medical practices on both business compliance and advisory services. We understand the unique health care field – both the opportunities and challenges – and are ready to partner with physician owners and their administrative teams to take their practices to the next level. Our approach to serving independent medical groups is comprehensive, meaning you can receive many business services at one partner, the HK Family of Companies. For more information, visit us at www.honkamp.com. About WebCareHealth (WCH): Founded in 2014 WCH develops innovative cloud-based software solutions that enable healthcare providers to remotely monitor the health of patients on blood thinners, or those patients having chronic illnesses such as heart failure, diabetes and hypertension. Thousands of such patients receive close monitoring and care through WCH’s partnership with 20 health care systems representing 78 facilities across the U.S. Learn more at WebCareHealth.com After marked success with its first product, CoagMgr for INR testing of anticoagulation medication, WebCareHealth is fully launching a suite of new products. These products will help patients and physicians better collaborate outside of a doctor’s office and move closer to real-time evaluation and management of a variety of chronic diseases. The new products include: HFMgr allows care provider(s) to remotely monitor heart failure patients’ self-submitted body weight, oxygen level, heart rate, respirations and blood pressure to gauge the heart failure patient’s status HTNMgr empowers hypertension patients to monitor blood pressure levels, along with other pertinent physiological data and then digitally submit those results to their doctor(s) via a secure website or phone app. DiabetesMgr is a platform through which diabetics can electronically submit to physician(s) their blood sugar levels, as well as a host of other key physiological data - like heart rate and blood pressure. The Centers for Disease Control (CDC) estimates that four out of every 10 adults in the United States lives with two or more chronic diseases. It is the leading cause of death and disability in this country and accounts for 90 percent of the $3.3 trillion in annual healthcare expenditures. Dr. Teresa Sieck, CEO of WebCareHealth, explained why the healthtech company is expanding its offerings: “Health care clearly needs a better approach to manage chronic diseases. Our vision is to meet that need by collecting meaningful data and delivering it in a format that is useable by providers. We are incorporating remote data along with optimal care guidelines to drive best practices. With the launch of our three new products, doctors will have even more usable data in one place to effectively care for the large population of people with multiple chronic diseases.” WebCareHealth’s four software solutions remove many obstacles to effective care. Patients gain the ability to self-test for key physiological data at home and on their own timeline instead of making multiple lab or office visits. This leads to greater testing compliance. Providers gain the ability to remotely monitor patient test results - even receive automated alerts when results cause concern - and more quickly offer care advice. Using the software solutions also enables care providers to identify opportunities to increase reimbursements. Thank you to all of the IMGMA 2019 Gold Sponsors!